WordPerfect 5.1 is legendary among tech geeks of a certain age, and still has devoted users. I used various incarnations of WordPerfect as my main word processor and brief writing tool until just a few years ago, when I succumbed to the inevitable force of change, and switched to Microsoft Word. Now, though, I’m not even using a traditional word processor as my main brief writing application, because I’ve discovered that Scrivener is a fantastic tool for that purpose. 1. Templates. 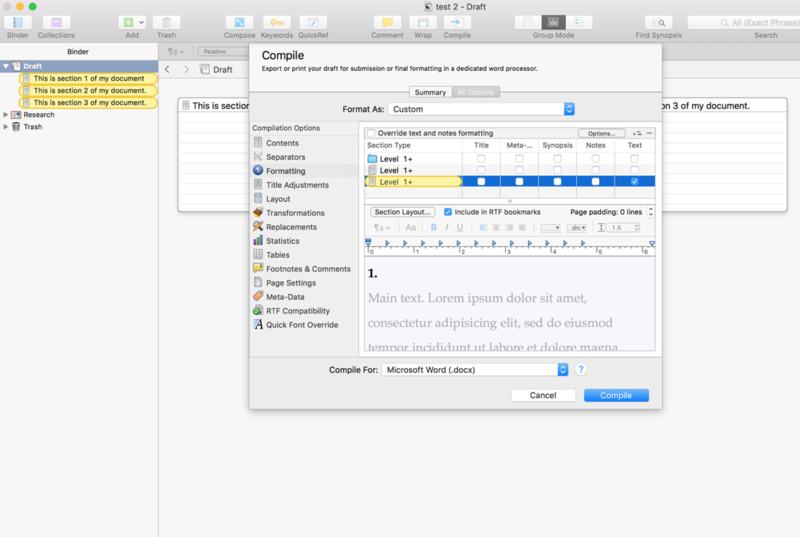 Other word processors offer users the ability to use templates, but it wasn’t until I used Scrivener that the idea of templates really clicked for me. I have a template for appellate briefs, and a template for trial court briefs. Those templates have my sections already set up for me, including Statement of Facts, Procedural History, Issues, Argument, and so on. I choose a template at the start of a project, and can jump right in without fussing over a setup. 2. Sidebar. The sections that I mentioned above show up in the left sidebar in Scrivener, making it very easy to jump around a document. I also will break my argument section into subsections in the sidebar, which pays off during the writing process. Doing so makes it very easy to rearrange material. One of the difficulties that I had with Word was that longer briefs could become very cumbersome to edit. With my brief broken up into sections in Scrivener, editing is much faster, and I can find information much easier. The sidebar also makes it easy to visualize even a longer brief. 3. Research. Gone are the days of having my research strewn in several locations on my hard drive, or of looking up a case for the tenth time because I didn’t save it. Now, I dump all my research into the Research section of the sidebar in Scrivener, and I can easily access it. Scrivener also offers the ability to toggle a split screen view off and on, so I can keep my brief and research up on the screen, side by side. This makes copying and pasting very effortless. 4. Compile. 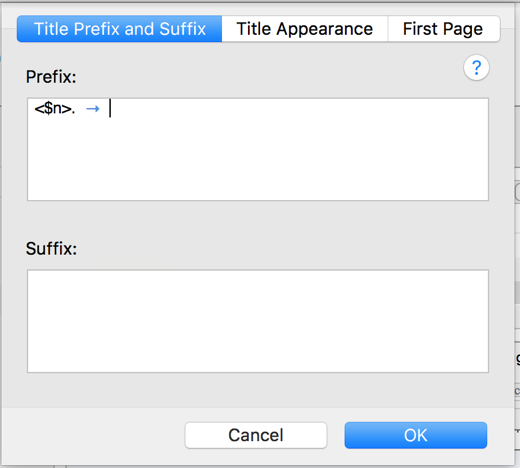 When I have my brief in near final form, I export it from Scrivener to a .docx format using Scrivener’s customizable Compile function. The beauty of this feature is that you can write in Scrivener without worrying about formatting. Focus on the brief, and leave formatting alone. If you so choose, all of your formatting (fonts, tabs, headings, etc.) is done via your Compile settings when you’re done. I’ve saved a customized “Appellete Brief” Compile preset that isn’t perfect, but gets me pretty close to how I want my final product to look. Scrivener does come with a learning curve. For example, I took me some time to learn how to set up a formatting preset (accessible via Format > Formatting > Apply Preset) to handle block quotes. From there, though, I’ve found that writing briefs is much easier. Just curious, does Scrivener let you import a pleading paper template? I’m not sure, but I doubt it. Scrivener’s templates are more organizational than anything, and the Compile settings on output deal with formatting of the text. Actually, if someone created such a template, then he or she could share it and other Scrivener users could import it. You (Scrivener users) can easily create templates and share them as attachments to your blog posts, etc. Evan: Great post — thank you for Do you make a new .scriv file for every client, matter, etc? How do you deal with repeat research, e.g. when you need to use the same case or secondary source for several clients or matters? Evan: Great post — thank you for sharing your experience with Scrivener. I love it and find it to be pretty versatile. Trying to get myself set up for using it in legal practice. Do you make a new .scriv file for every client, matter, etc? How do you deal with repeat research, e.g. when you need to use the same case or secondary source for several clients or matters? Hi Matt- I generally just have a couple of templates (trial court and appellate court), and then each brief gets its own scriv file. Common research (like the standard for summary judgment) gets baked right into my templates, but I’m not otherwise carrying research over. 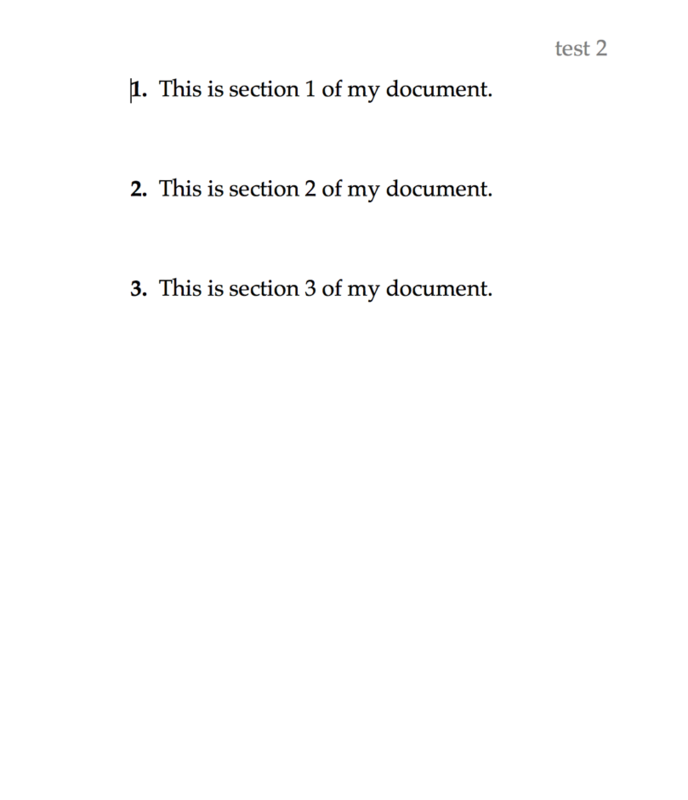 Stupid question: is it difficult to save a .docx file as a template such that I can take briefs I have filed in previous cases that would serve well in that capacity? Evan — thanks so much for replying. I see that you’re using DevonThink for research, too; I currently have that too and I had had some trouble with the database collapsing, but perhaps I’ll try and give it another go. I am certainly attracted to the idea of having separate sheets for,different sections. Most of my “briefs”, however, must have consecutive paragraph numbering (apart from block quotes).is that something you have to do with your documents and, if so, is that achievable through Scrivener”s compile function? In my briefs, I don’t have to do paragraph numbering, no. If you mean you need Scrivener to take your sections and put them together as auto-numbered paragraphs, then yes, it can do that (but to my knowledge it couldn’t autonumber the paragraphs within one section/sheet). I just played around with it, and it is best illustrated with screenshots (pardon the blurry images – I used the system to auto resize the images). I hope I understood what you’re looking for. Scrivener allows a great deal of customization in final output. How about using Scrivener to organize social charters. Like, how about a template for the federal, state, and municipal charters; so we can audit the government more efficiently? Sound like a good idea for lawyers to pursue – no??? I’m sure you could use Scrivener for that, Ronald, but I’ll leave that for someone who practices in that area.